I well remember speeding down a hill near my childhood home on my trusty sled. Two suggestions can make this thrill a safer one for kids. When the snow falls, your child’s bike helmet should become an even more important sledding helmet (over a warm hat). This simple addition to the sledding adventure can save your child’s head now (and perhaps prevent Alzheimer’s later). The other tip: enjoy the snow with your child! 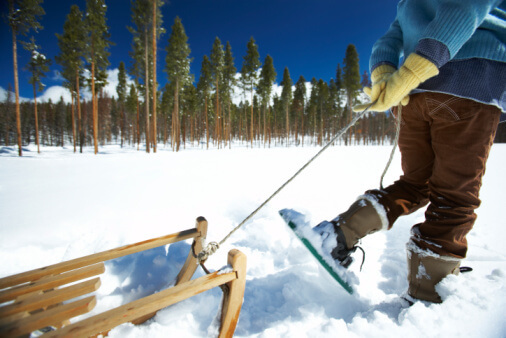 According to a 1999 study by the American Academy of Orthopaedic Surgeons (AAOS) and the US Forest Service, adult involvement dramatically slashes the sledding injury rate. Make safe snow memories together!